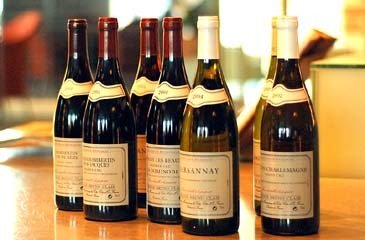 On March 31, 2007 at 7:30 p.m, Hyatt Regency Incheon will hold a Winemaker's Dinner presented by one of the world's best-known winemakers, Bruno Clair. This will be Mr. Clair's first Winemaker's Dinner in Korea. Mr. Clair's viticulture methods are basically organic, with much attention paid to the state of the soil, since he believes that a good soil produces a good wine. At this event, Mr. Clair will share his extensive knowledge of wine-making over a fabulous dinner accompanied by a selection of fine and extraordinary Bourgogne wines, the popularity of which has increased by 30% annually in Korea over the past few years. A complimentary cocktail reception will take place in the Ballroom at 6:30pm immediately before the dinner. Tickets to this special Winemaker's Dinner are available at KW190,000 per person (excluding 10% tax) or KW160,000 (excluding 10% tax) for Club at the Hyatt members. For more information or reservations, please call 032-745-1234 or visit www.hyattregencyincheon.com.